This powerful (200 nanosecond instruction execution) yet easy-to-program (only 35 single word instructions) CMOS OTP-based 8-bit microcontroller packs Microchip's powerful PIC® architecture into an 20-pin package and is upwards compatible with the PIC16C5X and PIC12CXXX devices. 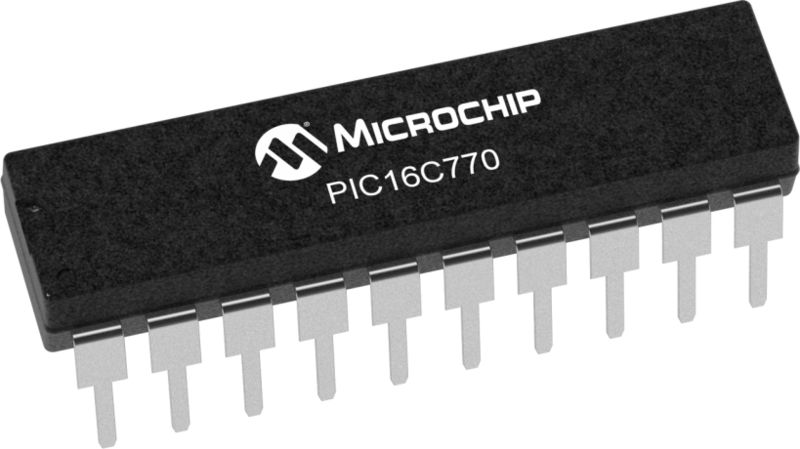 The PIC16C770 features 6 channels of 12-bit Analog-to-Digital (A/D) converter giving designers the ability to discriminate smaller signal changes and eliminate the need for external circuitry for high precision measurement of analog signals. With 2 additional timers and an enhanced capture/compare/PWM function that make it ideal for the most sophisticated applications requiring higher levels of A/D in automotive, industrial, appliances and consumer applications.